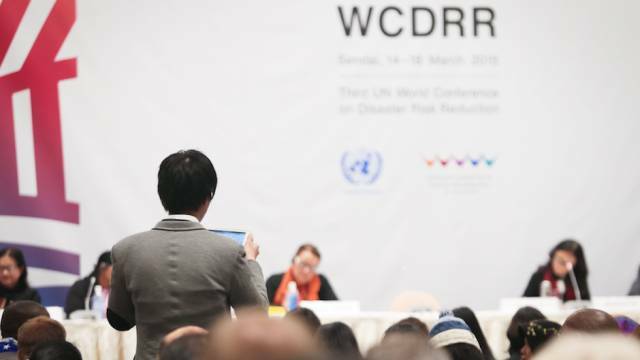 Nuclear accidents and similar hazards were not among the leading topics during the UN World Conference on Disaster Risk Reduction (WCDRR) held in March 2015 in Sendai, Japan. Apart from one session dedicated to the issue of technological hazards, the nuclear accident in Fukushima that shocked Japan and the world four years ago did not receive much attention in the official segment of the conference. In this sense, there were certainly missed opportunities during the WCDRR to reflect more fully on the complex range of issues that were highlighted by the Fukushima accident. The Sendai Framework for Disaster Risk Reduction (DRR) 2015-2030 that was finally adopted after four days of intense negotiations, however, does offer some possibilities for integrating these lessons. Yet it remains to be seen whether this will mobilise the political will and public awareness needed to ensure that the next Fukushima-like situation is handled better. The preamble of the Framework states that it applies to disasters caused by “natural or man-made hazards as well as related environmental, technological and biological hazards and risk” (p.6). In this way, even though the actual text does not refer to nuclear accidents, they are included within its scope. This, in fact, represents progress in itself. According to a UNISDR official interviewed by the author in May 2014, whether the post-2015 framework for DRR should focus only on natural hazards or also cover technological and biological hazards was a hotly debated issue. Unsurprisingly, the Japanese government had been particularly unwilling to incorporate discussion of nuclear disasters into the WCDRR agenda. Against this backdrop, the fact that the Japanese government delivered a presentation at the WCDRR to share some experiences of handling the March 2011 nuclear emergency marked a long-awaited start to the process of sharing lessons from Fukushima. The Sendai Framework is also an important step forward in recognising displacement as one of the most severe consequences of disasters (p.4). Whereas its predecessor, the Hyogo Framework for Action, hardly touched upon this issue, the Sendai Framework explicitly acknowledges the “adoption of policies and programmes addressing disaster-induced human mobility to strengthen the resilience of the affected people and that of host communities” (p.16) as an important measure for ensuring that DRR investments contribute to enhancing resilience. According to Walter Kälin (Special Envoy of the Chairmanship of the Nansen Initiative), this provides an “important basis for improving the protection of people displaced by disasters”. The references to disaster-induced displacement and mobility are also important for reflecting lessons from Fukushima, where regaining a normal daily life remains a distant goal for many displaced people. The accident has highlighted how long-lasting and socially devastating the effects of displacement caused by a ‘natech’ disaster — one in which a technological hazard is triggered by a natural disaster — can be. Reflecting on such consequences, officials from the International Organisation of Migration interviewed by the author in October 2014 referred to the Fukushima accident as a “living example” that underlines the importance of addressing displacement holistically in the context of DRR. That is, not only addressing it as a matter of prevention and preparedness but also as an issue of longer-term recovery and resilience. Specifically, experiences from Fukushima and other large-scale disasters at industrial facilities indicate a pressing need for measures to rebuild livelihoods, compensation mechanisms, relocation schemes and environmental remediation operations from the very early stages of recovery. 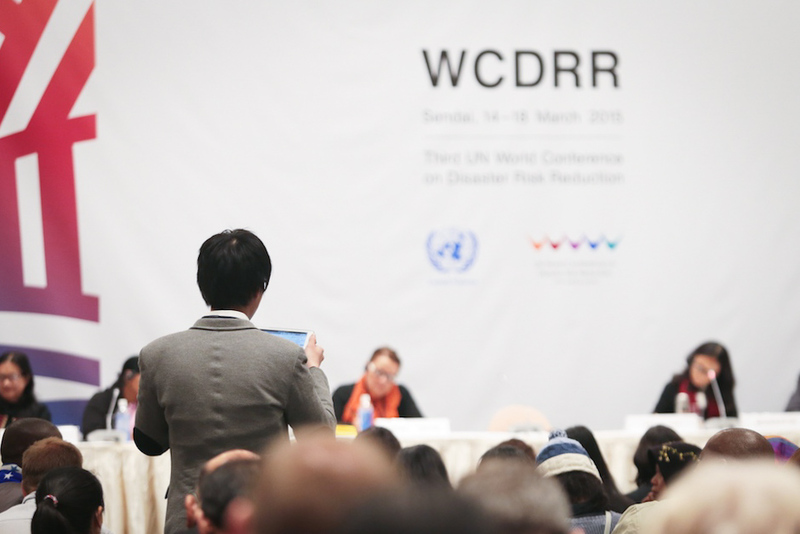 A participant comments during the Building Resilient Futures for Rural Areas Multi-stakeholder Working Session at the Third UN World Conference on Disaster Risk Reduction in Sendai, Japan, 15 March 2015. Photo: UN ISDR. Creative Commons BY-NC-ND 2.0. The far-reaching nature of these and other social, economic and environmental challenges that continue to be faced by the affected people and communities was actively discussed in Sendai through various public forum events organised by researchers, practitioners and civil society groups. In contrast, such discussions were notably absent from the official part of the conference. While the concept paper for the WCDRR session on disaster induced-relocation acknowledged that natural disasters and “technological disasters induced by natural hazards force millions of people to move”, the actual discussions during this session made only passing reference to the difficulty of resolving displacement consequences. In this sense, a chance was missed to reinvigorate the difficult but, as still evident in Fukushima, much-needed discussion on how to deal with complex displacement situations resulting from industrial accidents. The chaotic evacuations in the context of the unfolding nuclear emergency at the Fukushima Daiichi Power Plant also clearly showed the consequences of failed communication with local residents about accident risks. Neither national nor local authorities affected by the nuclear accident were prepared for large-scale evacuations: the viability of evacuation routes and the capacity of available shelter facilities were never considered with such a scenario in mind, and no agreements existed with neighbouring authorities that would likely be affected by sudden inflows of populations. This and other experiences from Fukushima show that public participation should be the guiding principle in the process of assessing disaster risks. Starting with the formulation of relevant emergency preparedness plans, and throughout the formulation of post-disaster recovery strategies, regular opportunities to reflect on residents’ needs and concerns should be supported with sufficient resources, close coordination between key stakeholders and transparent, balanced moderation of consultations. The Sendai Framework does contain some references — albeit in overly vague terms — that can be used to advance discussion of how disaster risks should be assessed and communicated, including in relation to industrial accidents such as Fukushima. On information provision, the Framework puts forward a goal to “substantially increase the availability of and access to multi-hazard […] disaster risk information and assessments to the people by 2030” (p.8). As well as noting the “need to address existing challenges and prepare for future ones by focusing on: monitoring, assessing and understanding disaster risk”, it emphasises “sharing such information and how it is created” (p.6). With regard to public participation, the framework broadens the list of relevant stakeholders that governments should engage with in the design and implementation of relevant policies by including “women, children and youth, persons with disabilities, poor people, migrants, indigenous peoples, volunteers, the community of practitioners and older persons” (p.5). As a cross-cutting point, the Sendai Framework also acknowledges the overall need for “a more explicit focus on people and their health and livelihoods and regular follow-up” (p.6), thus promoting a more human-centred approach to communicating risks and managing hazards. Ultimately, the value of non-binding agreements such as the Sendai Framework lies in the international visibility and political momentum that they create, exerting pressure on governments to fulfil their responsibility to prevent and reduce disaster risk. 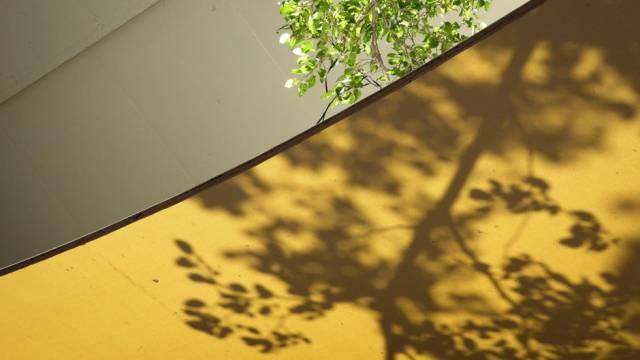 Seen in this light, the Sendai Framework, while falling short of expectations on many fronts, took some important steps towards integrating lessons from the Fukushima nuclear disaster. A closer look, however, reveals that these are only the very first steps on the long path that Japan and the international community must follow in becoming better prepared to deal with the next mega-disasters and the complex industrial accidents that they may trigger.